Calf Augmentation in Cleveland, OH. Calf augmentation is best achieved with placement of specially designed solid silicon implants underneath the fibrous tissue that surrounds the calf muscles. Usually two implants are placed in each calf to simulate the shape of the normal calf muscle. Occasionally a single implant is used. This operation is more commonly performed in California than in the Midwest. 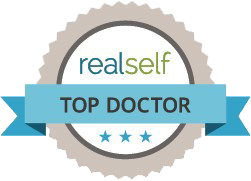 Dr. Rodney Green is one of the few plastic surgeons, or possibly the only surgeon in the Greater Cleveland area, who has experience with this operation. The operation is very effective and achieves significant enlargement of the calves without a conspicuous scar. People that are self-conscious about having small calves can be relieved of this discomfort and achieve a normal appearance. Other patients that have benefited are bodybuilders that are unable to enlarge the calves despite vigorous physical exercise. The operation is done under general anesthesia as an outpatient procedure. The recovery requires about seven to 10 days until there is resolution of the tightness of the calf that results from placing the implant into a limited space. Gradually the tissues stretch and the full benefits of the implant becomes apparent over several months.